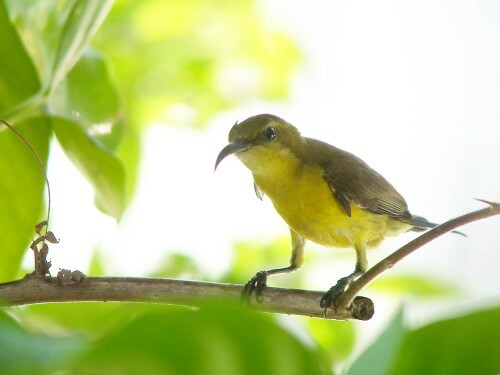 The Olive-backed Sunbird Cinnyris jugularis is the most common sunbird in urban areas around Borneo. It is also found in the mangroves and plantations while its altitude range goes up to 1,500m. 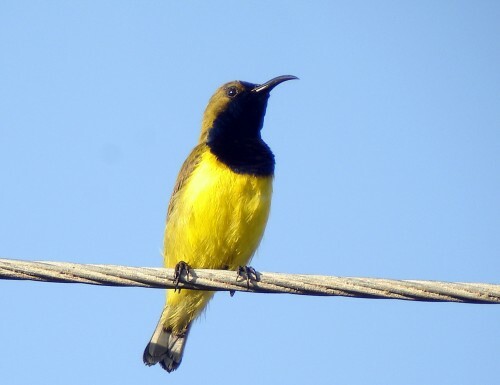 While seemingly the closest relative we have to the hummingbirds, sunbirds here can only hover momentarily, more often perching while feeding. Their nests can often be seen hanging from telephone wires and eaves of buildings while nestings on low plants are not uncommon.